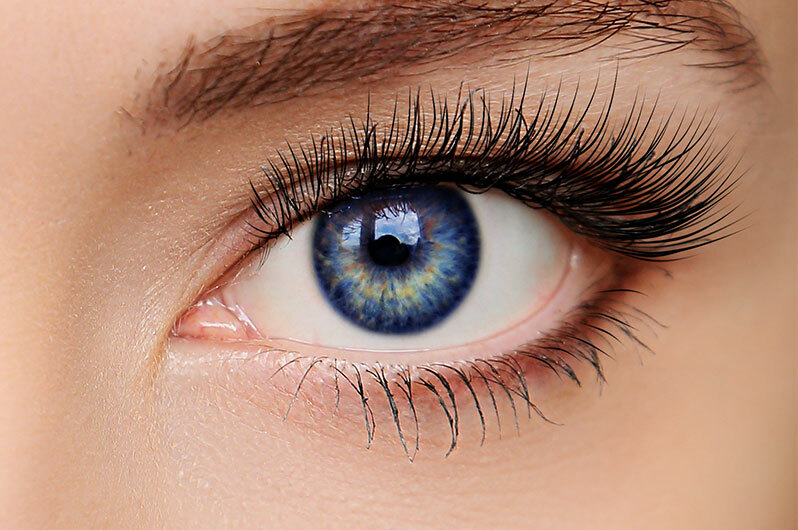 Eyelash tinting is a new popular trend in the beauty and wellness world. It has taken off due to its simplicity, low maintenance, and pain-free procedure. It is perfect for people who lead busy lives and who do not want to spend too much time fussing with their makeup in the morning. Eyelash tinting is suitable for those who work as athletes, personal trainers, and dancers, as sweat does not remove the semi-permanent tint, so you won’t need to worry about smudges, smears, or touch ups. You won’t need to touch up your eyelashes for at least 3-6 weeks, or until your natural lashes grow out and become replaced with new hairs. You won’t need to damage your lashes by adding false extensions to them. False lash extensions put excess weight and stress on the natural eyelash, increasing the risk of breakage and damage to the original existing lash. Tinting your eyelashes makes your eyes more vibrant by creating more contrast with your eye color due to the darker lashes that frame them. This gives a natural look that is usually achieved with uncomfortable fake lashes and flaky mascara. You will look put together even if you are running out of the house without any makeup on. Tinted lashes do not need mascara to darken them, so you can say goodbye to your monthly mascara purchase! This saves time and money, and is helpful when trying to reduce environmental waste. The procedure is affordable, quick and painless. It takes anywhere between 10-20 minutes and is not invasive in any way. Most of our clients find it relaxing! The process requires you to lay down as your esthetician cleans any excess dirt or makeup from your eyes. After doing so, they will apply a protective balm around your eyes such as petroleum jelly or coconut oil to prevent the tinting formula from transferring onto your skin. The tint is then applied to your lashes using a special application and left to sit for around 5-10 minutes. After about 10 minutes, your esthetician will gently remove the tinting formula from your lashes using gentle, soothing strokes. That is all that is required of the procedure! Are There Any Restrictions That I Should Know Of? No, you may resume your regular routine as per usual. However, for a tint that lasts a long time, use gentle products on your eyes and never rub or tug at the eyelash. If I Have Sensitive Skin Can I Still Get My Eyelashes Tinted? Yes, your esthetician will do a small skin patch test to see if the formula will irritate your skin. If after 24 hours, there is no problem, the solution is safe to use on your skin even if it is usually sensitive. Give us a call or visit to book an appointment at our salon and learn more.